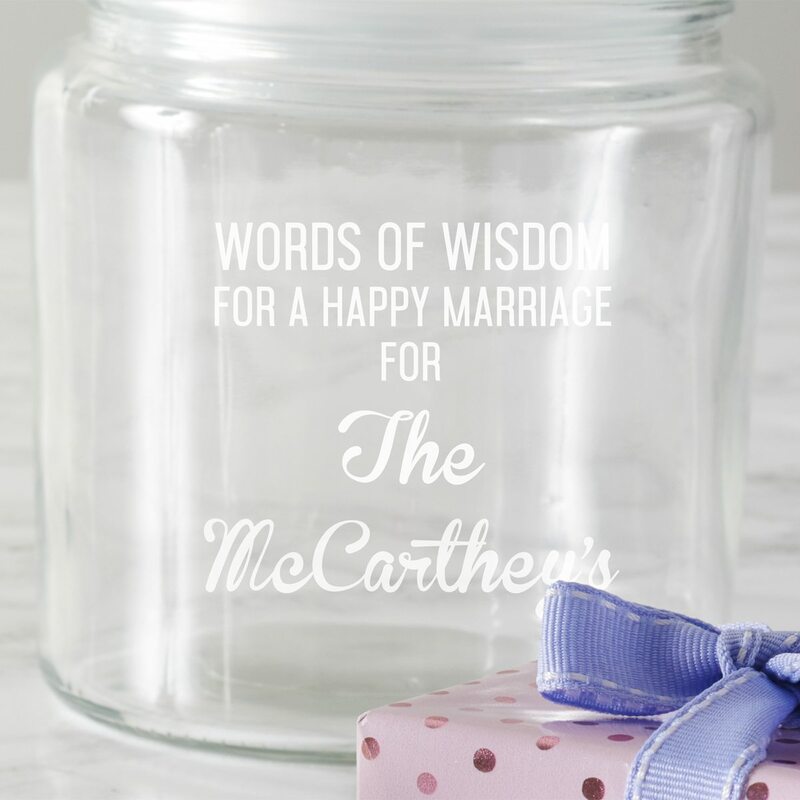 This marriage tips jar is a fun way to help you reminisce about your wedding day for years to come. Guests can pass on their tips or advice for a happy marriage or they can write messages of love and congratulations. 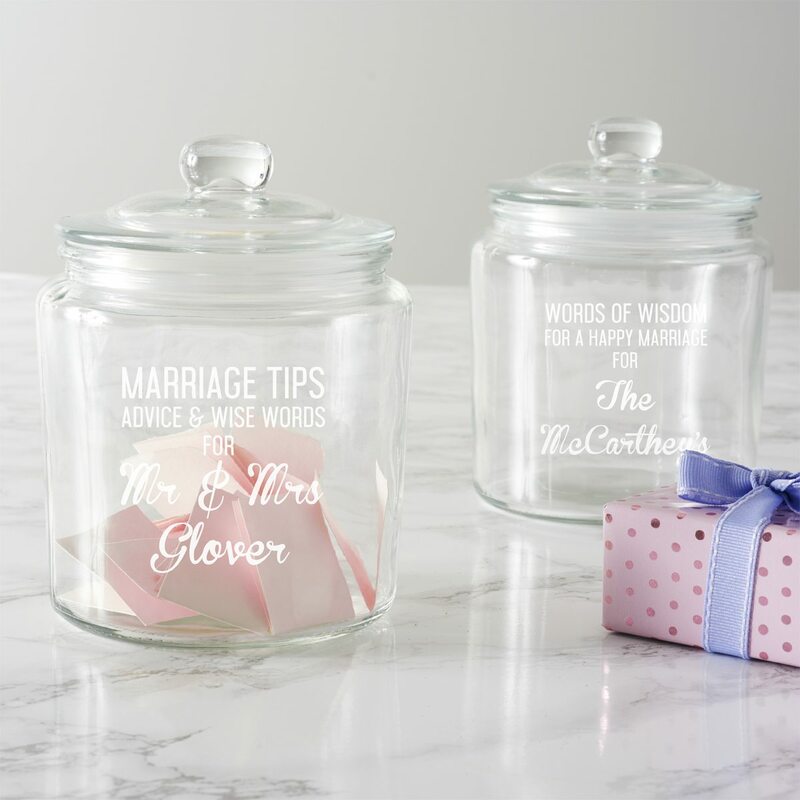 The jar is a great alternative to a traditional guestbook. 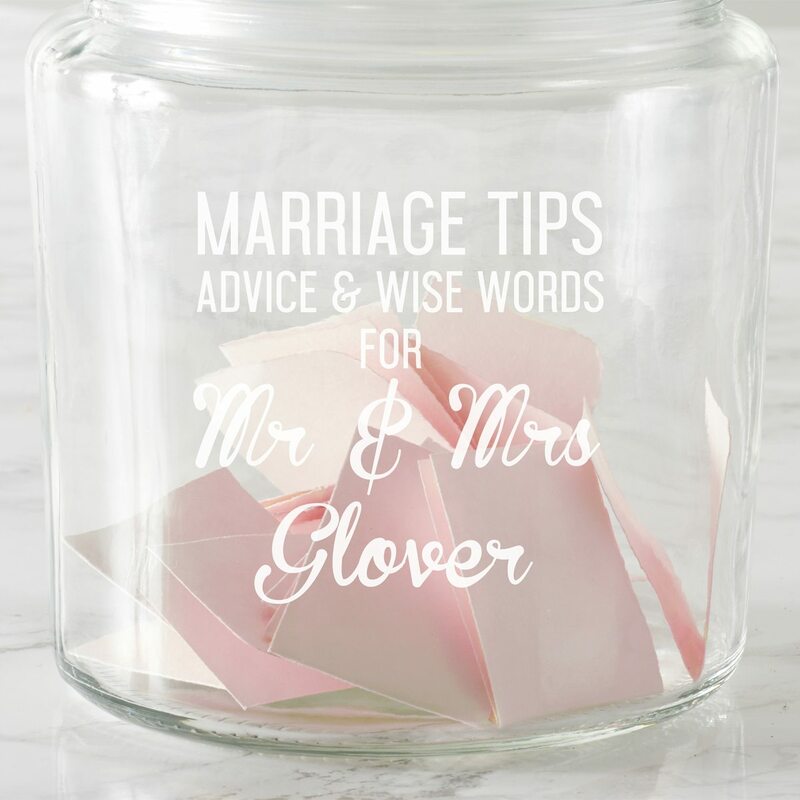 Personalise the jar with up to five lines of text. Lines one, two and three can contain up to twenty characters each, and lines four and five up to ten characters each, including spaces and punctuation. Lines one, two and three will be etched in uppercase text and lines four and five will be mixed. 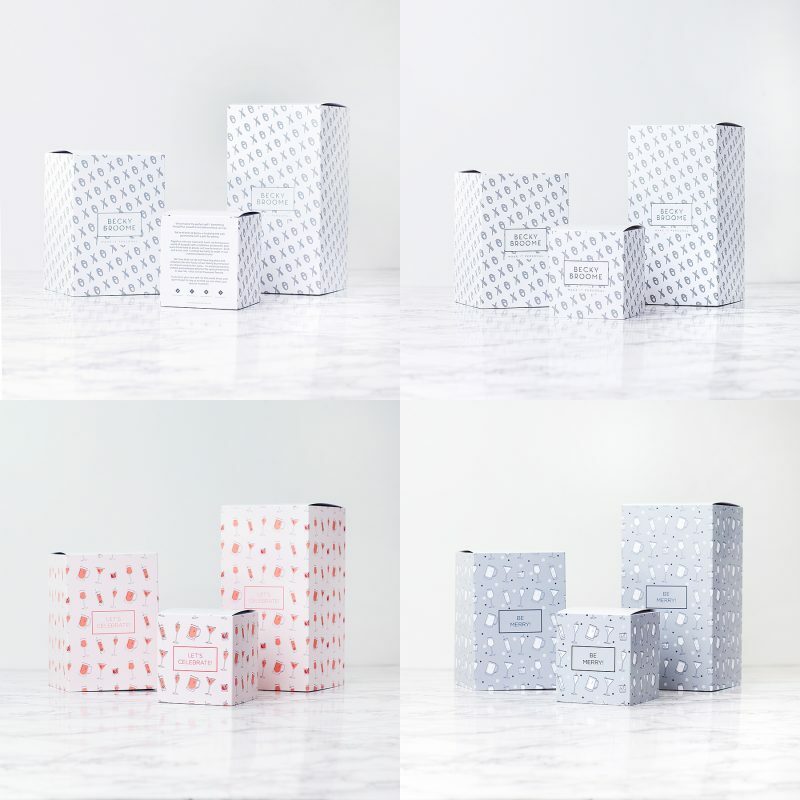 Please note that the personalisation boxes for lines four and five are case sensitive. 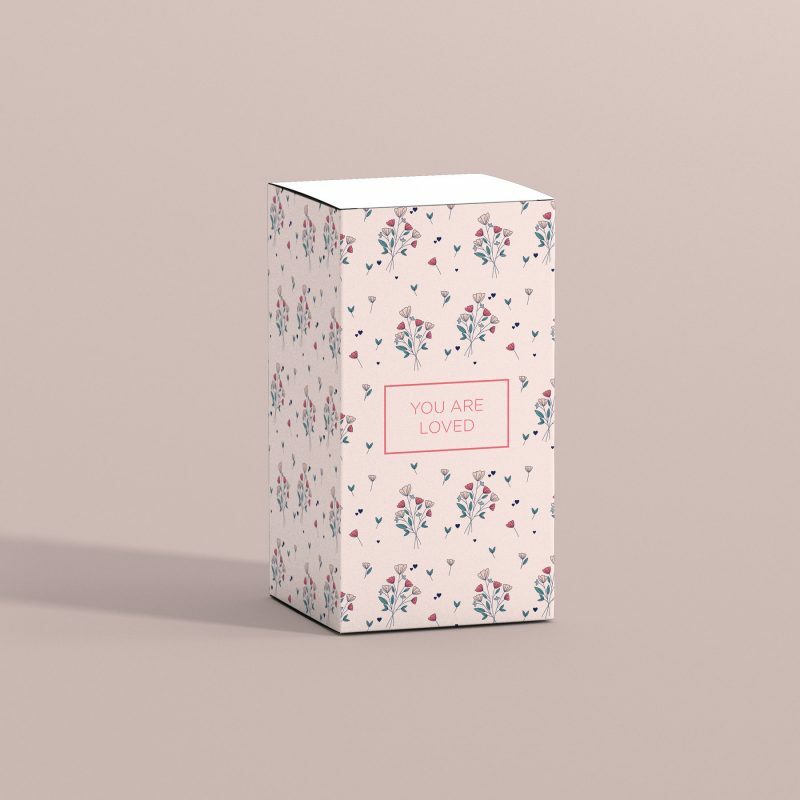 We will etch exactly what you enter so please ensure that all spelling is correct and that you are happy with how the text appears in the personalisation boxes, before proceeding to checkout. Each jar is hand-etched in our studio in Liverpool. As standard, the jar comes wrapped in bubble wrap and is sent in a bespoke postal box.